What are your favorite memories from family vacations? Building sand castles on the beach? Skidding down the fastest slide at the water park? Laughing at your mum’s ridiculously floppy sun hat? Getting your hair braided? Posing for a caricaturist? Vacations are to be treasured, enjoyed, and reminisced. But they are also sometimes cause for great stress and worry! Heart pounding from adrenaline. The weight of the world on my shoulders. Surely life’s most responsible job. I was 10 years old and I was given the task of helping the airport staff lift our suitcases onto the conveyor belt and watch them roll away. Feeling as if it was down to me and me alone for the safe arrival of our bags. I can still remember the relief when they appeared on the other side at Majorca’s airport. Ok, so I may have been a bit of a worrier as a child. Always keen to help my mum with jobs, checking my suitcase after she had packed it to make sure my favorite pink teddy bear wasn’t left behind. To this day, I still inject (what I think is) a healthy dose of structure and routine to my own family vacations. The guide books are bought well in advance, top sights circled and highlighted, days mapped out before we’ve even confirmed our booking. My husband would be happy to go with the flow, spend his days reading, relaxing, meandering from one castle ruin to another, but he’s grateful all the same when we get to check in and he offhandedly asks if we have the passports! The ‘stressful’ moments of vacationing as a young child and as a newlywed though seem almost laughable now. Before having our daughter, Elianah, planning a destination was always easy for us- look for which city break had the best deal at the time. Job done. We had a few complications as my husband has a peanut allergy and suffers with eczema. However, after some tough learned lessons and nearly cancelled vacations, we got our routine sorted for eczema and allergy safe travel and found extra baggage helpful. Learning the word for different nuts, taking our own bedding when staying away from home, and stocking up on my husband’s medication were part of our travel preparations. Life is a little more complicated now with our 14 month old. As well as nuts, we’ve had to add wheat, milk, egg and soy to the family allergy list, and the number of eczema sufferers has doubled, along with the size of our medicine cabinet and prescription list as a family. Elianah has had a lot to face in the first year of her life. Elianah was born on Christmas Day 2013 and when it came time for planning our annual family summer vacation I panicked. She was 8 months old, onto solid foods and I couldn’t imagine how it was going to work with all her allergies and her skin in such bad condition at the time. My mind was a whirlwind of what ifs and anxieties. Free peanuts on airplanes, plenty of air conditioning to help circulate that peanut dust and not to mention multiple other food allergens breathed out by passengers after their dinners. Traveling with food allergies by airplane seemed too much. So we skipped the air travel and instead settled on an English break to the Dorset countryside, knowing we were in driving distance of a hospital and wouldn’t have any language barriers. The vacation was a real turning point for me in feeling confident to take Elianah beyond the safe ‘free from’ boundaries I had set up for her at home. It has also made me more confident to fully research the possibility of traveling abroad this summer, and from my findings I am reassured (see top tips at the end of this post) because there are policies and care guidelines put in place with airlines that make it more than manageable traveling with allergies by plane. The vacation memories I will share with my little girl might not include masses of ice cream, trips to chlorine filled water parks, or dips in salty sea oceans as I enjoyed as a child. However, they will be jam-packed full of family adventures, singing competitions in the car until we lose our voices, frequent trips to adventure playgrounds, zoos and castles, and plenty of time indulging in ‘free from’ goodies and treats. Start simply. If you feel too anxious about vacationing abroad, look for local options for allergy safe travel. An enjoyable, manageable first vacation experience with your family will boost your confidence and you may want to venture further afield next time. Consider carrying cards with you that list your or your child’s allergies in English and the language of the country you are travelling to – these are great: Allergy Translation cards. Make sure you or your child wear a food allergy awareness bracelet or carry a card (like mentioned above) in your wallet detailing the allergies. Save the emergency services number of the country you are travelling to on your phone. Know where the closest emergency room is to your hotel. Make a list of all the medicine you need (and refill prescriptions in case you lose them) along with any food supplements/basics to go in your extra baggage allowance. Bring a small, portable cooler to keep any medications that need to be kept refrigerated. Or ask the hotel to provide a mini-fridge. Pack your own bed sheets if you suffer from eczema. Most hotels use strong chemical laden laundry detergents that can really irritate the skin further. Ask your hotel about the chlorine levels in the hotel pool. 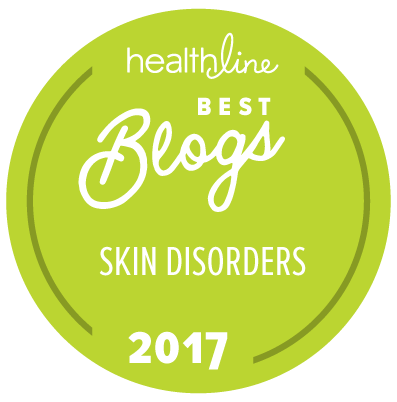 Some people with eczema tolerate chlorine very well, while others don’t. Contact a few restaurants in the area you’ll be staying in and ask them if they can accommodate your or your child’s food allergies. Keep a few allergen-free treats on hand at all times in case finding a nearby allergy safe restaurant isn’t immediately possible when hunger strikes. When booking your flight, simply attach a note from your doctor explaining your or your family member’s allergies and you may be allowed extra free baggage allowance for medicine and food. If you or a family member suffer with a peanut or tree nut allergy, at the time of booking your flight, add a request for the airline to refrain from serving peanuts or tree nuts on your flight. An attached letter from your doctor will help. If you have an allergy that requires you to carry an epinephrine auto-injector, you should carry a letter from your doctor explaining the need to carry this as hand luggage. Notify the flight attendants of any allergies or medical conditions when boarding the plane in addition to contacting the airline well in advance and including allergy information when booking your holiday. 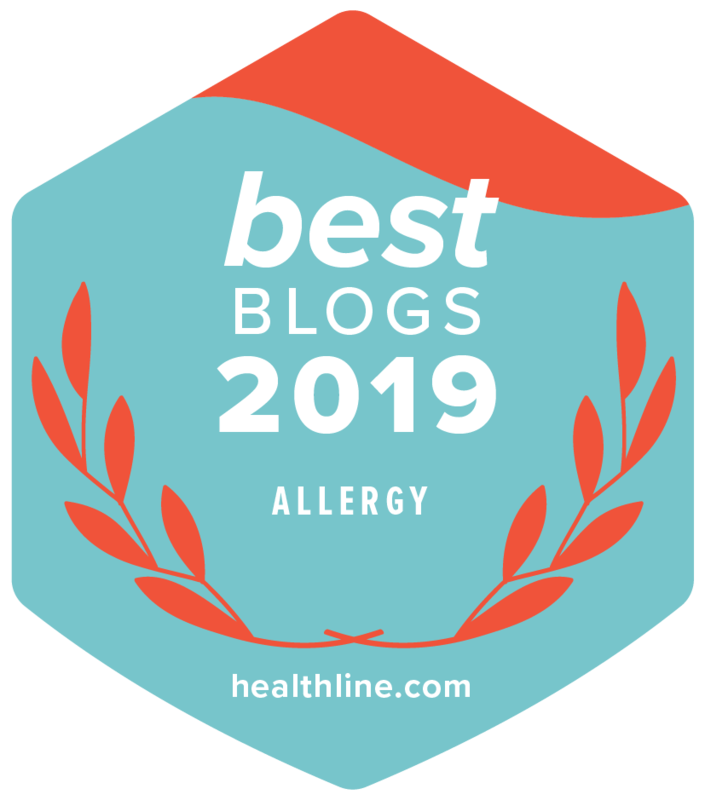 For a general overview of the top 11 airlines and their policies on traveling with allergies check out this chart from AllergicLiving. What are some of your favorite tips for traveling with allergies and eczema? Bio: Emily is a trained primary school teacher, journalist, wife to her wonderful husband Benjamin, and mother to her gorgeous 14 month old daughter Elianah. She is currently a stay at home mummy, obsessed with reading (when she can), baking and blogging. The first year of Elianah’s life was a battle for us all. She has severe eczema and food allergies to wheat, milk, egg, soy and peanuts. Emily started her blog A Free From World to share her family’s experience, encourage other parents that they’re not alone in the painful journey that eczema and food allergies can lay out, provide helpful resources and list some tried and tested recipes that her family uses in their house. What’s the name of the cream? Interestingly we have major eczema flare ups on two children when travelling to the UK. This has happened three times so is not our imagination. We have learned never to forget our eczema sleeves even when we might not have used them in the past year at home. We also ask the flight attendants for ice cubes in a cup which is a pleasant distraction on an airplane.